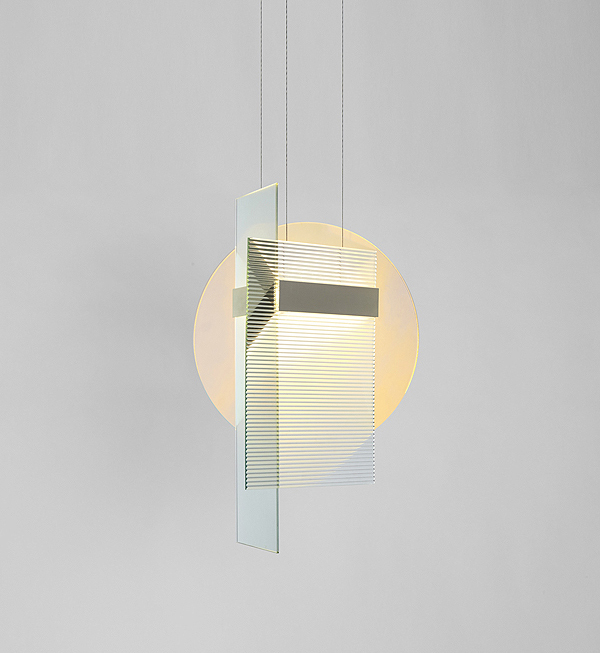 The Kazimir Chandelier by new york based studio Ladies & Gentlemen is now available at Triode (Paris). Kasimir was inspired by the late 1800 Russian artist, Kazimir Malevich, who created paintings often composed of flat, abstract areas of multi-layered shapes and compositions. 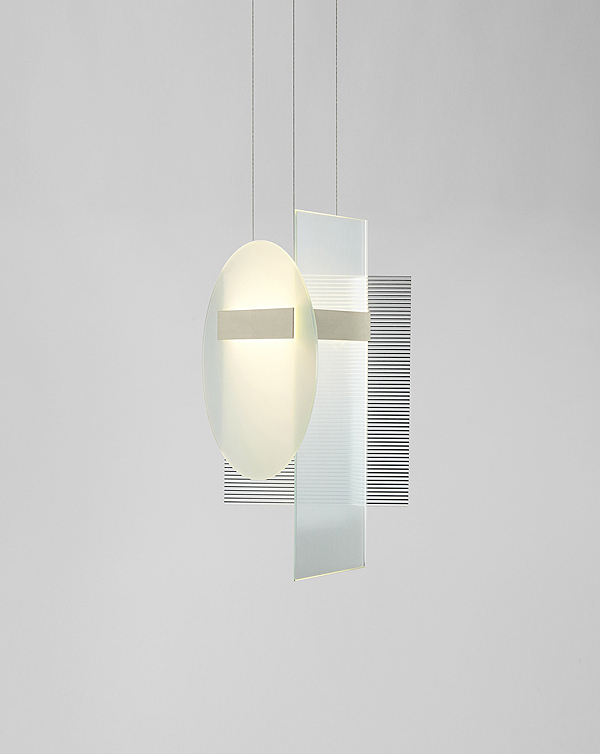 Like his work, the Kazimir fixture is the result of the designers increased experimentation with “complexity & layering”, geometric abstraction and minimalism. Kazimir explores an “elemental complexity” through a 3 piece collage of textured and dichroic plate glass shapes arranged around an illuminated triangular frame. The resulting arrangement celebrates layering of shape, texture, color, and effect. “Complexity” lies at the intersection of the three elemental forms and invites one to see how the composition transforms. Kazimir is made and manufactured by Roll & Hill and available through L&G Studio.